The medley of songs on the B side of Abby Road was a collection of snippets of songs that the various Beatles had started, but never fleshed out into full blown songs. Unfortunately, “Maxwell’s Silver Hammer” and “Octopuses’ Garden” did get the full fledged treatment and ended up as full cuts. So I am taking the “Abby Road” approach to my blog today. Nothing is seriously driving me to write a six paragraph post today, so I have decided to just put in a few random thoughts that I have been thinking in the past few days and see if I can’t get a B side collage out of the ideas I post today. First thing that comes to mind is that my friend Yessika suggested that I get a pocket digital recorder so I can record my thoughts as I think them. That way, I won’t have to wrack my brain to come up with the ideas I had a few hours ago. I have two of the darn things. My last few years at Apollo I read the names at graduation. Part of my preparing for this task was to have seniors with difficult names speak into my recorder so I could practice on those names before the graduation ceremony. Only had one real problem with it when the girl pronounced her name differently each time she said her name. Otherwise it was a good system. The reason I have two recorders is I lost one, bought a new one, then found the lost one the day after graduation. I need to dig those recorders out. When I was mall walking at Arrowhead today I came up with some brilliant things to write about. But now I have absolutely no clue what I had come up with just a few hours ago. All I remember is that I was going to use the phrase “fast forward to the present.” I just wish I could remember where I put those recorders after my last graduation. So I will just free associate for the moment and see what kind of mishmash of topics I can come up with. I did notice one thing at the mall. I could always go to the mall and see at least 2 or 3 students of mine. As I now have no students, I saw nobody I knew. If my photography business doesn’t get off the ground, I found the next job I want. I want to drive the kiddie train at Arrowhead Mall. I even have the engineer hat. In the mall there is a barber shop that advertises face shaves, so I was reminded of listening to Barry Young on the radio the other day. He and his producer were extolling the virtues of a barbershop shave. According to them, a barbershop shave is the culmination of the American Dream. Growing up I had always wanted to get one. But somewhere in the late sixties, early seventies the blade and the shave went out of style. I remember an article maybe 10-15 years ago talking about the only barbershop in Phoenix that offered face shaves, and the barber used a Bic disposable. But happily for us guys, the face shave has become popular again. I actually got my first ever face shave completely by accident. My track team was going up to Prescott to compete. We were leaving around 11:00, so I went in to Twins Barber Shop to get a haircut. The gal asked if I would like a shave. I said yes and the addiction began. Not only was it the culmination of the American Dream, we went to Prescott and whipped up on them in the track meet. It had to be the shave! (OK, and some really, REALLY good athletes) Since that time I have included as often as possible the face shave when I get my haircut. Now there are plenty of establishments around the valley that offer face shaves as part of their service. 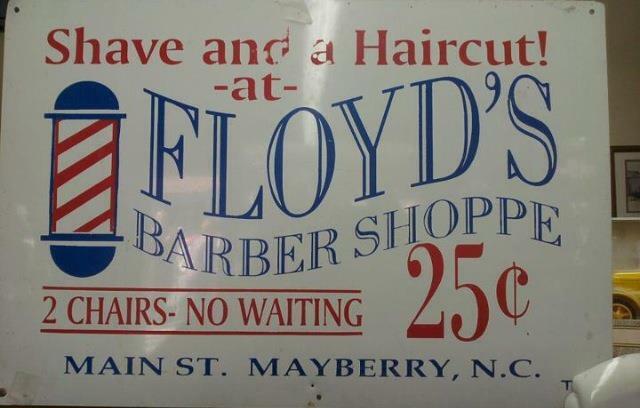 If you are in the Chandler area, Hillary at Floyd’s offers a great face shave. Of course I must highly recommend the young lady that currently does my haircut and shave, Vonn. If you haven’t had a face shave before and want a great experience, make an appointment with Vonn. Experience the American Dream for yourself. Finally, I decided to post a couple of pictures of the older cat, Hillary. Named after the mountain climber, not Hillary Clinton, who said she was named after Sir Edmund Hillary, who didn’t climb Mt. Everest until after Secretary of State Clinton was born. But in politics, as long as the information is close, it doesn’t necessarily have to be accurate. Back to my cat. I like taking pictures of my cats. I see all those cute pet pictures with the funny captions and think I could do that. 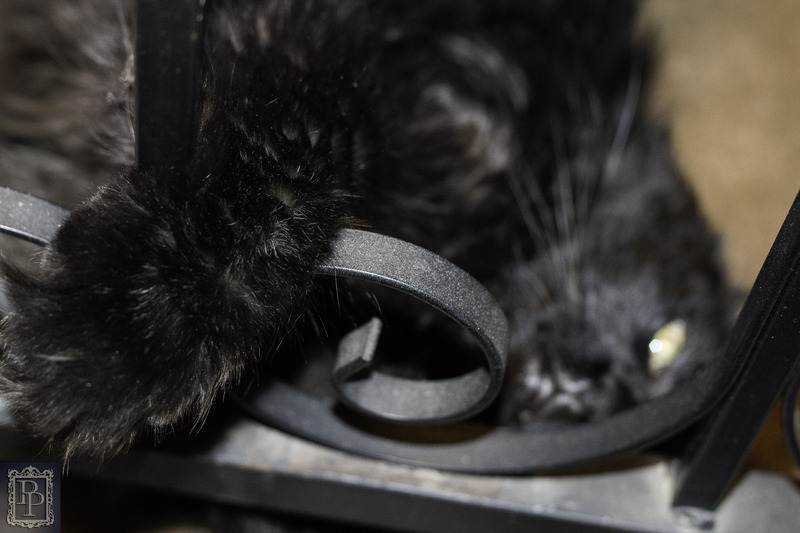 The problem is that my cats choose to be cute when I am nowhere near my camera. And as soon as they see I have my camera, they run and hide. The only time I seem to get a chance to take pictures of them is if I have flowers on the table. 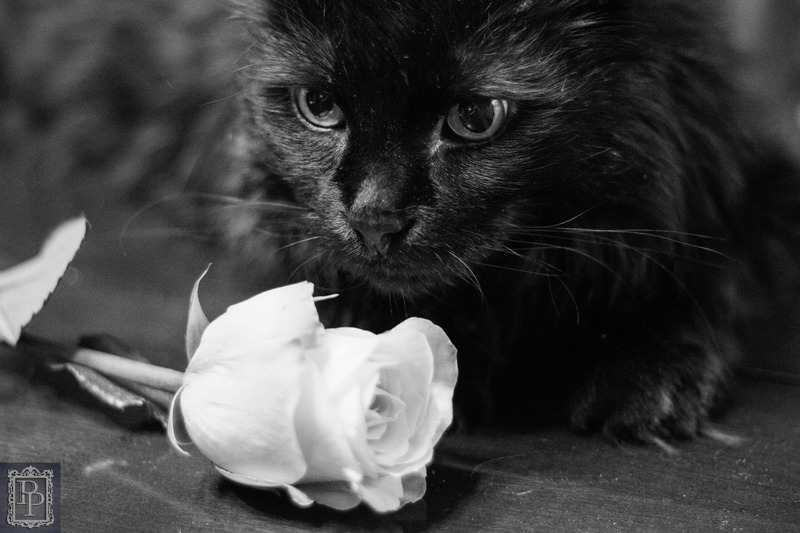 Their interest in the flowers is more important to them than running away from the camera in my hand. That about does it for my “Abby Road” blog. I just have the urge to sing “Her majesty’s a pretty nice girl…” Paul should have song THAT at the Olympics.